Welcome to NewsDirect411: Man Sells Daughter To Raise Money For In-law Burial. He also confessed to kidnapping his neighbour’s seven-year-old son, Gabriel Yanga, barely two months after he moved to the area, adding that he used the N310,000 he realised from the sale of the two children for the burial of his father-in-law. 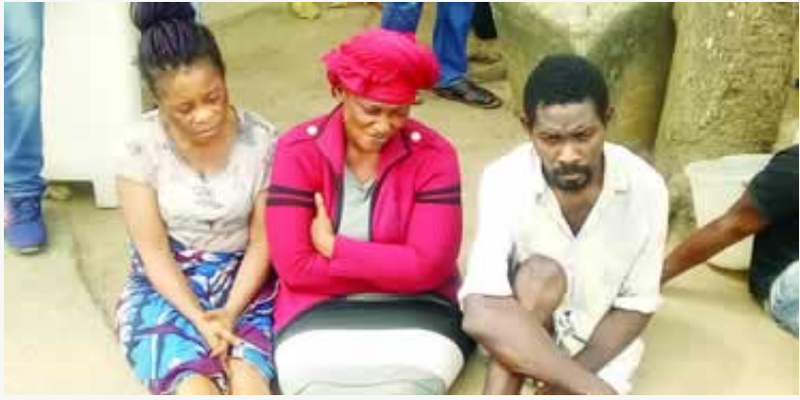 Our correspondent learnt that the suspects were arrested in November by operatives of the Special Anti-Robbery Squad, Lagos State Command, Ikeja, where Yanga’s parents reported the case.